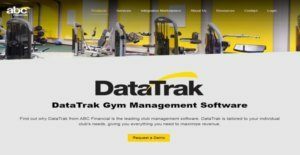 DataTrak is an efficient, complete, and leading cloud-based club or gym management software that enhances how health and fitness facilities organize and access data, make money, and deliver delightful experiences to their members. DataTrak is also a flexible software in such a way that it can adapt to the specific needs and requirements of a club or gym regardless of its size and type, whether it is small or large, operates in a single location or multiple locations, or newly or fully established. The club or gym management software centralizes all information in one place, encompassing data related to members and employees. This allows users to monitor payments as well as schedules with ease. With DataTrak, they will be able to increase profits and gain more loyal members. DataTrak streamlines the check-in process by enabling club and gym members to check in using barcoded key tags, key fobs, and pin codes. Club and gym owners are also automatically notified when their members are checking in. They no longer have to worry about verifying the identities of their members and authenticating them, at the same time, this makes it easy for their members to access their facilities. The club or gym management software centralizes all essential data in one place. DataTrak has an electronic document management feature which permits club and gym owners to digitally store and manage all the documents they need. For example, they can email agreements to members so the latter can sign them digitally. Therefore, the software eliminates the need to use paper forms and documents and keep them on filing cabinets. DataTrak makes it easy for club and gym owners to handle their employees. The software gives them the capability to check which of their employees are currently available to deliver the services they are offering. They can also monitor employee work hours and review their timesheets effortlessly. Assigning permissions to employees is made possible as well, a feature that ensures that the right information is accessed only by the authorized club or gym employees. Schedule management is another key feature included in DataTrak. This is among the features of the software that helps users deliver delightful experiences to their customers. If they are launching an event, they can quickly communicate to members the schedule and location of such an event. Members, likewise, can check training schedules online. DataTrak makes sure that club and gym owners can monitor the performance and profitability of their business over time. Through the aid of its dashboard, they will be able to access graphs and charts and find out if they are hitting their goals on a daily, weekly, or monthly basis. This way, they can obtain insights into how they are acquiring new members and making money. DataTrak can help them improve payment collection, track inactive and delinquent members, and increase club or gym retention rates. If you are interested in DataTrak it may also be a good idea to analyze other subcategories of Best Club Management Software listed in our database of SaaS software reviews. There are popular and widely used systems in each software category. But are they essentially the best fit for your enterprise’s unique needs? A market-leading software product may have thousands of customers, but does it offer what you require? For this reason, do not blindly shell out for popular systems. Read at least a few DataTrak reviews and mull over the elements that you wish to have in the software such as the cost, main tools, available integrations etc. Then, choose a few apps that fit your wants. Try out the free trials of these platforms, read online reviews, get clarifications from the seller, and do your research meticulously. This profound groundwork is certain to aid you choose the finest software solution for your company’s unique wants. How Much Does DataTrak Cost? DataTrak’s SMB and enterprise pricing plan information is available only upon request. Please contact the vendor to get a tailored quote. We realize that when you make a decision to buy Club Management Software it’s important not only to see how experts evaluate it in their reviews, but also to find out if the real people and companies that buy it are actually satisfied with the product. That’s why we’ve created our behavior-based Customer Satisfaction Algorithm™ that gathers customer reviews, comments and DataTrak reviews across a wide range of social media sites. The data is then presented in an easy to digest form showing how many people had positive and negative experience with DataTrak. With that information at hand you should be equipped to make an informed buying decision that you won’t regret. What are DataTrak pricing details? What integrations are available for DataTrak?